Certain Hollywood stars are well-known for their passion for the environment, including actress Jessica Alba, who lives and breathes it. This celebrity advocate proves that each of us can make a major contribution right in our own homes and in our daily lives. Many folks don’t realize that Ms. Alba is also the founder of The Honest Company, an eco-friendly line of home and baby products that celebrates healthy living. 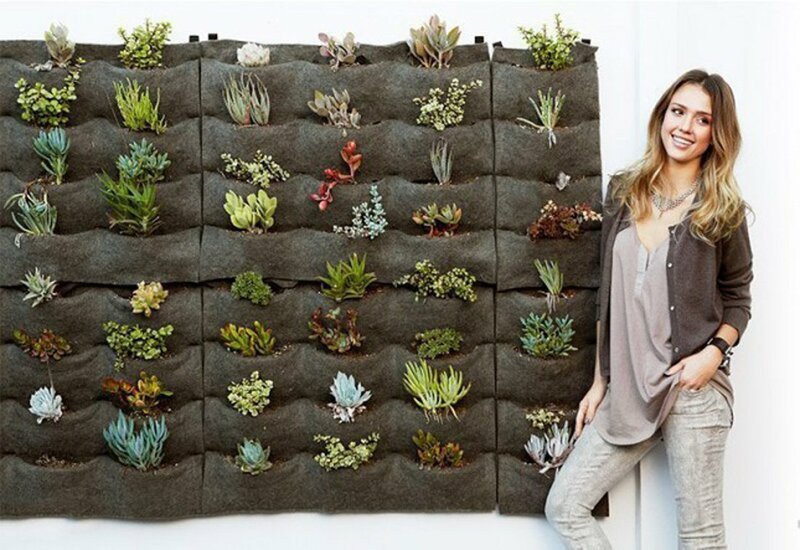 So when it came time to give her Beverly Hills home a makeover, naturally she went eco-friendly there too and included a Florafelt vertical garden. Jessica opted for a hearty mix of succulents that are low maintenance and, most importantly, require little water in their drought-prone habitat. Along with chemical-free paint, PVC-free vinyl chairs and finding many of her furnishings on Craigslist, Jessica proves that eco-friendly living is stylish and sustainable.